Whether your care needs require a complete exam and cleaning, a full mouth restoration, or anything in-between, we promise to provide you with exceptional dental care in Sarnia, Ontario as we enhance the natural beauty of your unique smile! We are committed to providing a lifetime of optimum oral health for our patients and strive for relationships based on mutual trust. We only provide treatment for our patients that we would perform on ourselves and our families. We invite you to browse our library of services and technology we offer or call us at Dr. Karen Davis and Dr. John Milne Dentistry to learn more. Invisalign® is a form of removable orthodontics. No more silver braces! Results are achieved through a series of clear aligners (trays), many people won’t even notice you are wearing them! Call our office for a complimentary consultation and get started today!! Gone are the days of messy impressions, temporary crowns and a return visit! With CEREC dentistry (crowns in one visit), Dr. Davis will prepare your tooth for scanning, then design your CEREC crown chairside while you watch on the screen or read a magazine comfortably! Once this step is finished, we will take you around the corner and you can actually watch your crown being milled out of the porcelain block selected. After completed, your new crown will be bonded into place same day! The only exception with same day insertion is if we are restoring an implant supported crown. If this is the case, Dr. Davis will fabricate your crown, but have you back the following day for insertion. FUN FACT Dr. Davis contributed in the development of CEREC Dentistry as a chief beta tester in the technical aspects, and also served as a clinical mentor at the Scottsdale Center for Dentistry in Scottsdale, Arizona. Have your teeth discoloured over the years? Or have you always had yellow teeth and felt “it’s just me” and there’s nothing I can do? Good news!! We can put the sparkle you’ve always dreamed of in that smile in an hour!!! In fact, with ZOOM teeth whitening in Sarnia, our results are so amazing most often we see up to 8 shades brighter!! Treat yourself today!! Cosmetic dentistry is really now an aspect of modern dentistry which allows us to conservatively restore your smile back to its natural, youthful state of strength and beauty. This process gives us an opportunity to also enhance your appearance by closing gaps, straightening crooked teeth, and restoring worn tooth structure. An implant is a titanium post that is comfortably placed into the bone, “replacing” the missing root. Whether we are addressing a single-tooth replacement or stabilizing a complete denture, dental implants have helped people of all ages to smile and chew with confidence! 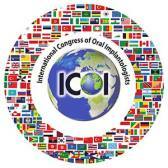 Dr. Karen Davis has earned Fellowship status in The International Congress of Oral Implantologists (ICOI) which indicates she has been and will continue to be dedicated in her efforts through education, research and clinical experience. Whether you have fractured a tooth or have multiple crooked teeth, veneers offer you a chance to improve your smile with a natural-looking solution. Due to their durability and resistance to staining, veneers are becoming popular among patients of all ages. Veneers can come in plastic (composite) or porcelain, and both types are bonded to your tooth surface using resin cement. The pulp is the soft tissue that contains nerves, blood vessels, and connective tissue. When the pulp is diseased or injured and cannot repair itself, it dies. The most common cause of pulp death is a cracked tooth, usually caused by large silver fillings or a deep cavity. Left without treatment, your tooth most likely over time will develop an abscess and cause damage to the bone around the tooth. When the infected pulp is not removed, pain and swelling can result. Without treatment, your tooth may have to be removed. Most root canals can be completed comfortably in one visit. It is recommended that all teeth that have been restored with endodontic therapy be preserved with a crown to help protect and strengthen for long-term wear. A maintenance program must be a cooperative effort by the patient, along with the dentist and team to preserve the natural dentition and supporting structures by preventing the onset, progress, and reoccurrence of diseases and conditions. Periodontal disease is the leading cause of tooth loss in adults! The KEY 3 LASER technology comes from Germany, and is one of the most sophisticated dental lasers in the world. We use the KEY 3 for various procedures, such as removal of early decay, tartar buildup below the gum line, and trimming unhealthy, overgrown tissue. Our laser works quickly and gently, many times requiring no anesthetic! The laser kills germs effectively and promotes rapid healing, which allows us to also treat cold sores at the very early onset. In today’s busy, stressful world, we are seeing more and more people suffering the effects of clenching and grinding. This may show up as chipped, worn down and broken or even loosened teeth. In more severe cases, we see patients struggling with daily tension headaches and advanced jaw pain. Do you have clicking or popping in your jaw joints? Have you worn a night guard for years with minimal relief? Botox Therapy may be a consideration for you! Please contact our office today for more information!